This is the only 1 bedroom residence at Town Pointe. Just two flat blocks to Park City Main Street and the "Town Lift providing direct access to Park City Mountain Resort and Canyons. 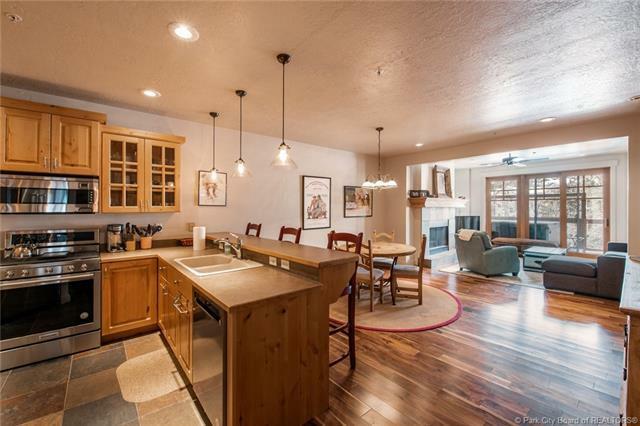 All of Park City's restaurants in and around Historic Main Street are walkable all year long. 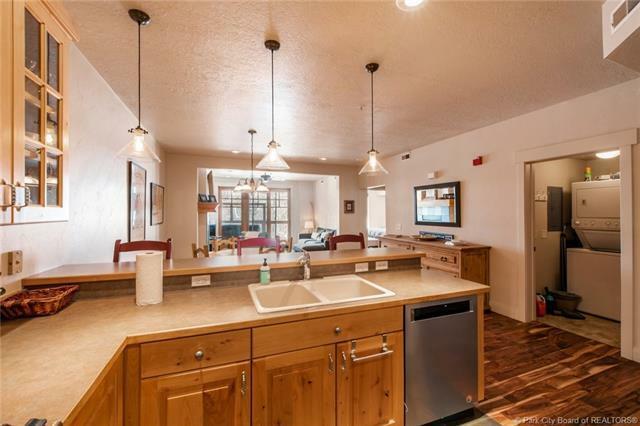 This turnkey 1 bedroom unit has an open plan lives spaciously at nearly 1200 square feet. 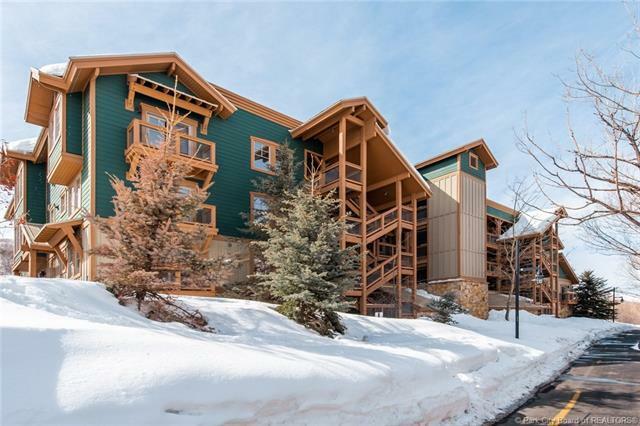 Ski slope views of Park City Mountain Resort sitting by your gas fireplace or in your private hot tub. 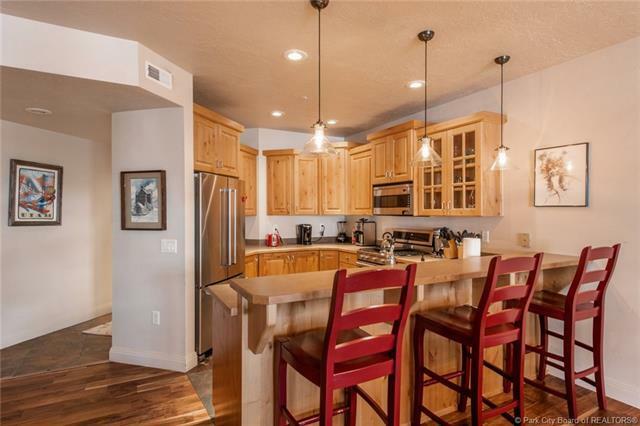 This home has a brand new stainless kitchen appliances and brand new 6 person hot tub. And when you need more space for guests there is a 1 bedroom suite right next door, owned the TownPointe HOA and available to rent for a discount by TownPointe owners. The Elevator in the building takes you down to private garage parking and private storage unit for all your gear. Rental numbers have been spectacular via VRBO.com for the last 3 years running with peak nights reaching $1000 per night.